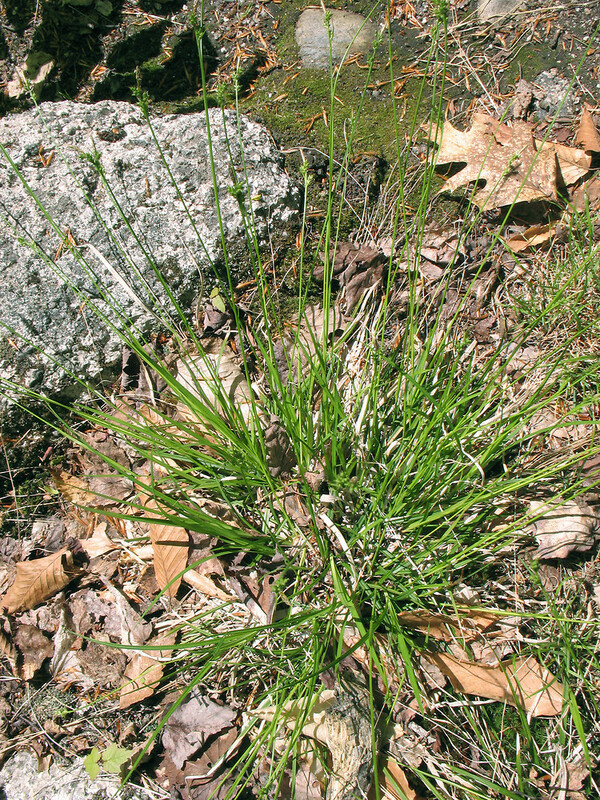 Carex communis. By Marilee Lovit. Copyright © 2015 Marilee Lovit.New England Wild Flower Society.gobotany.newenglandwild.org (Accessed 4/2015). Carex communis perennial, 20-50 cm, forming tussocks, flowering stems smooth, purplish at base, sharply 3-angled, equal to or longer than leaves. Leaves 0.3-0.6 cm wide. Apparently much wider than inflorescence stems. 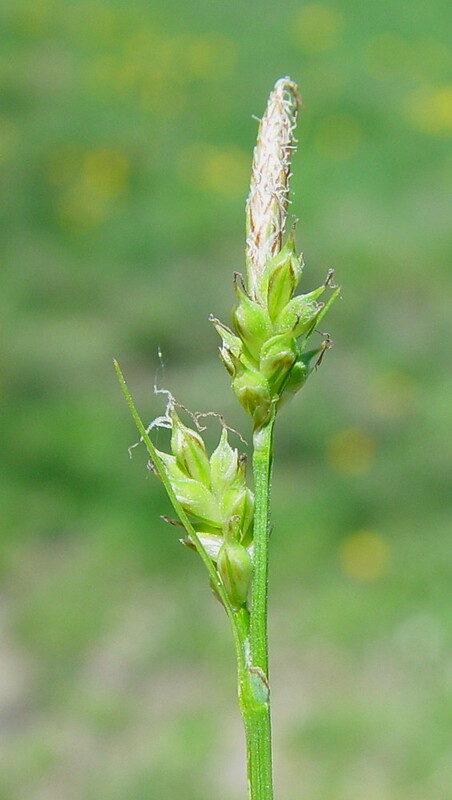 Carex communis inflorescence. By Arthur Haines. Copyright © 2017. New England Wild Flower Society. gobotany.newenglandwild.org (Accessed 12/2014). Flowers dry, tiny, monoecious, male spike at top of stem, 0.4-1.8 cm long, female spikes 2-3 almost stalkless, 0.5-1 cm long, mostly crowded under male spike, bracts green, with membranous basal lobes, perigynia scales reddish-purple with green center, perigynia 3-10, 0.3-0.4 cm, bode round on a very short, spongy stalk, 2-keeled, finely hairy, tip tapered to a slender beak, achene bluntly 3-sided. Attractive to and dispersed by ants (Handel 1978). Notes: See Genus Carex also.